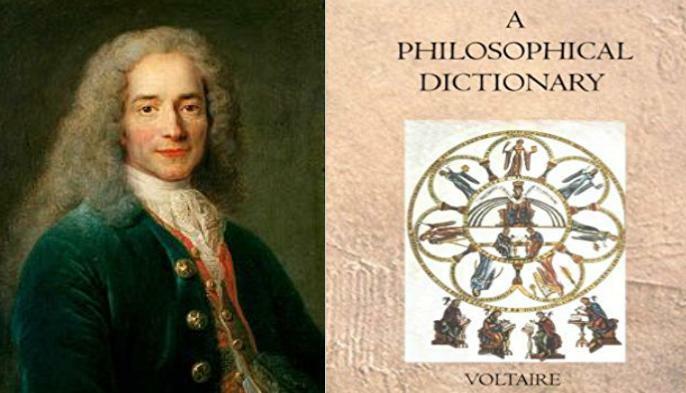 Project Gutenberg's Voltaire's Philosophical Dictionary, by Voltaire. Download this book online: HTML. EPUB. Kindle. Plain Text. By Voltaire. The text of this work is in the "Public Domain" in Australia. Derived from The Works of Voltaire, A Contemporary Version, (New York: E.R. DuMont, 1901), A Critique and Biography by John Morley, notes by Tobias Smollett, trans. William F. Fleming. Selected and Translated by H.I. Woolf. New York: Knopf, 1924. Hanover Historical Texts Project. Scanned by the Hanover College Department of History in 1995. By Voltaire, 1694-1778. Publisher: London: Printed for Wynne and Scholey. Digitizing Sponsor: MSN. Contributor: University of California Libraries. By Voltaire, 1694-1778. A Philosophical Dictionary, Part I. Publisher: [New York] : done by the craftsmen of the St. Hubert guild. Digitizing Sponsor: MSN. Contributor: University of California Libraries.